Experience and proven success inside and outside the courtroom. Injury, malpractice, car wrecks, and mass torts – our firm understands the importance of protecting your personal rights. If you or a loved one has been injured due to the negligence of someone else, then you need an experienced attorney on your side. Insurance companies have people fighting hard to protect their interest; we fight to protect yours. Lawyers, Doctors, Accountants and other professionals make mistakes. If your injuries were caused by the carelessness of attorneys or other professions, you deserve compensation for your serious injuries. The damages sustained in car wrecks can be devastating, including serious injuries and even death. To get what you deserve, it is in your best interest to have an aggressive attorney in your corner. Taking on a large pharmaceutical firm or medical device company is overwhelming to most individuals. Our firm is not afraid to pursue these companies when injuries or damages have been experienced by users. In the courtroom, as in most professions, experience makes all the difference. Our firm has the breadth and depth of experience needed to handle nearly any legal mater. A courtroom trial is not always a necessity or even an option for everyone, but you can’t risk taking the chance of retaining a lawyer who does not have the experience and proven skills needed to take a case to trial. You need a lawyer that doesn’t just have a good TV commercial or marketing slogan. You need one that actually takes cases to trial. Our firm gives you just the aggressive representation you need to give you the best chance to protect your rights. Our firm has experience and knowledge litigating in state and federal courts, as well as negotiating a variety of personal and business matters for our clients, no matter how simple or complex. Our experience has given us indispensable knowledge of how the legal system works throughout the Carolinas, allowing us to provide the best possible representation to people and businesses. Drew Brown has already handled hundreds of civil matters for a diverse range of matters from Murphy to Manteo to Myrtle Beach. His clients have spanned from well known entities like Verizon Wireless, SunTrust Bank, and the Atlantic Coast Conference to regular citizens throughout the Carolinas who have been injured by the negligence of others. Drew Brown believes strongly that his first and foremost role as attorney is to advocate for his clients. At age 40, he is already an experienced trial lawyer who has appeared on behalf of clients in contested hearings in over 50 different courthouses throughout the Carolinas. 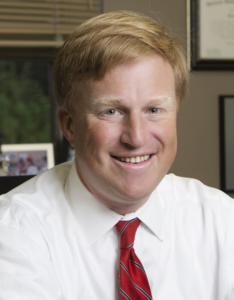 In an era where cases often settle before litigation or at mediation, Drew Brown has repeatedly taken personal injury and business disputes to trial. He is a member of the South Carolina Advocates for Justice and the American Associates for Justice. Mr. Drew Brown -Awesome gets job done!!! Drew Brown is a awesome and amazing attorney. He helped me with my accident got fast results and did everything he said he would. Drew Brown is definitely an attorney that respects you and your needs and gets you taken care of the way you deserve. I recommend him to anyone who needs help. He’s there for you. Thank you so much Drew. I greatly appreciated Mr. Brown’s professional attitude and knowledge of the case laws presented at the trial he represented me at. His preparedness and willingness to go above and beyond to present my case and ultimately win was with incredible self confidence. Being a business owner, I highly recommend and will certainly use Mr Brown’s Law Services again if needed. © 2017 Myrtle Beach Injury Law, 1019 Highway 17 S • Suite 225 • North Myrtle Beach, SC 29582 & Greensboro Law Center-Brown, Faucher, Peraldo & Benson, PLLC, 822 N. Elm Street • Suite 200 • Greensboro, NC 27401. Myrtle Beach Injury Law is associated with the Greensboro Law Center - Brown, Faucher, Peraldo & Benson, PLLC, located in Greensboro, NC.